There is this great book I suggest you read name Blue Ocean Strategy. With nearly 4 million copies sold, it's a popular business book. Essentially its about not competing where the sharks are, but instead finding a clear blue ocean where the sharks are not. The folks at Brizy must have been reading this book because the new Brizy Cloud is their Blue Ocean Strategy. The WordPress page builder market is where all the sharks are at and it's so crowded that it's nearly impossible to survive. Unless you have a Blue Ocean Strategy! The Brizy Cloud is several different things. The most exciting part is that WordPress is now optional. So if you are frustrated with having to constantly manage updates & security, you can say goodbye to those WordPress headaches. Also since there is no need for a database connection, your load time will be dramatically faster, on any hosting service. 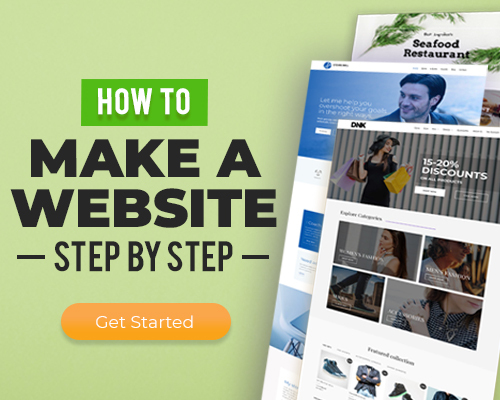 And the best part is that you can start with a non WordPress single page website and when your needs change you can switch to a WordPress website without having to start from scratch. Right about now you may be thinking, this sounds expensive. Well I have great news for you, its not. Not by a long shot. 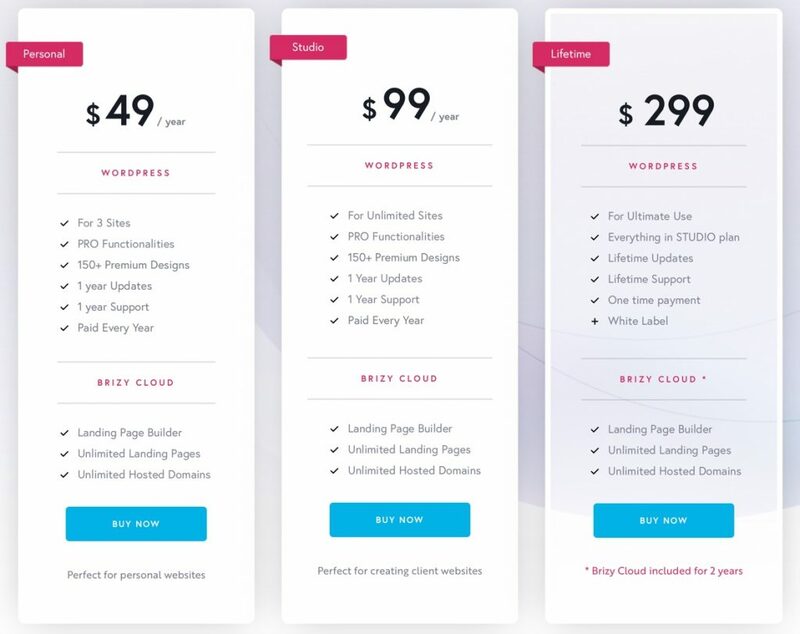 Brizy Cloud is included with all of their paid plans. For lifetime deal buyers, you will get 2 years of Brizy Cloud and after that, it will be a nominal annual fee to continue using the service. 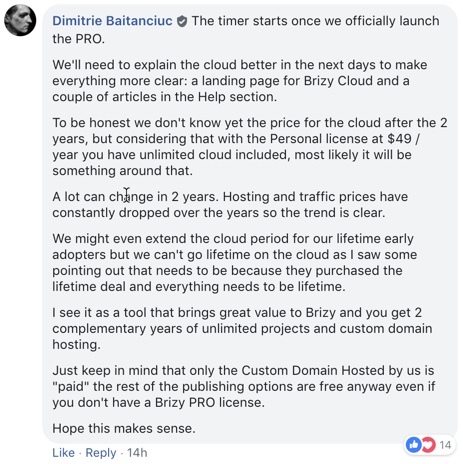 Here is the official statement regarding the Brizy Pro lifetime offer and what part of Brizy Cloud are included for life, and what might cost a little extra after the 2 years. Brizy Cloud is truly a Blue Ocean Strategy and just what Brizy needs to be different. I think it's going to be a winning strategy and quite that game changer for their users.